Founded in 1826 as the Philadelphia House of Refuge, Glen Mills is the oldest school for delinquent boys in the country, set on nearly 800 acres of rolling hills in Delaware County. The leader of the Glen Mills Schools is stepping down from the helm days after an Inquirer investigation revealed decades of child abuse at the Delaware County campus. Executive director Randy Ireson is taking a leave of absence “for health reasons” effective immediately, according to an email sent to staff Thursday afternoon. It added that Joe Hand Jr., president of the board of managers, has resigned “for business and personal reasons." 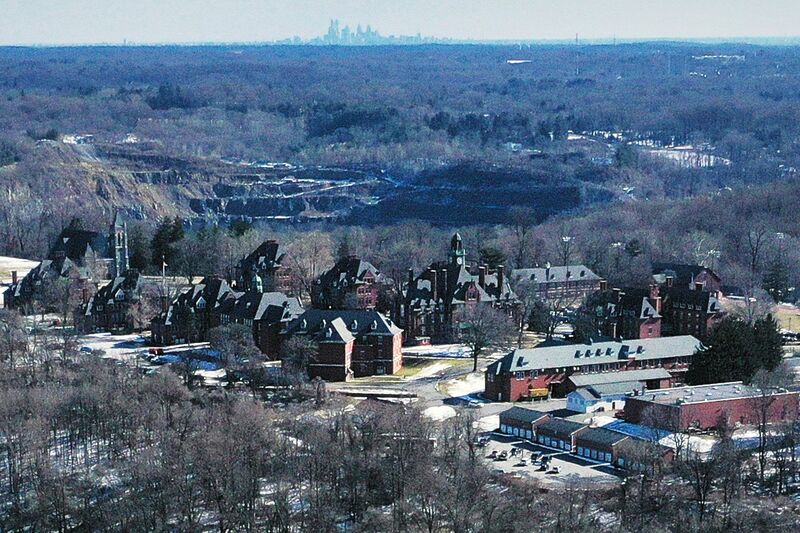 The Inquirer investigation published online Feb. 20 and in print Sunday described a culture of violence and secrecy at Glen Mills, the oldest U.S. reform school for court-ordered boys. Former students and staff members said counselors routinely choked and punched the boys in their care, even breaking their bones. Staff threatened boys to keep them quiet, claiming they would be sent to even worse programs or would have to restart their sentences if they reported the abuse. In response to the Inquirer investigation, judges in Pennsylvania, California, Texas, and Michigan have decided to remove at least 83 children from Glen Mills — more than one-third of the school’s enrollment. Philadelphia, which announced it would remove its 51 boys last week, spends $52,000 per year for each boy it places at Glen Mills. Cynthia Figueroa, commissioner of the city’s Department of Human Services, said she was pleased that Ireson and Hand were stepping aside. Even so, Philadelphia will continue to remove its boys from Glen Mills, Figueroa said: “There are questions remaining, whether or not there were cover-ups, that clearly need investigating." Nearly two weeks ago, Glen Mills announced a special task force that it said would conduct “an in-depth review into reports of misconduct” and “identify areas of opportunity for change." But this week, as more judges pulled their boys from the school, Glen Mills quietly sent a six-page memo, with attachments, to juvenile justice officials. Signed by Ireson, it attacked not only the findings of the Inquirer’s investigation but also individuals quoted in the piece. Aimee Tysarczyk, a spokesperson for Glen Mills, said that Ireson “was advised to take a leave for medical reasons," and that he would continue to be compensated and live in school-affiliated housing. In fiscal 2017, Ireson received $336,000 in total compensation from Glen Mills, which had annual revenue of about $40 million. Ireson started as a counselor at Glen Mills in 1979, the year the former football player graduated from college. Through Tysarczyk, Ireson has repeatedly denied requests for interviews. The school’s board of managers said Christopher Spriggs, Glen Mills’ director of special services and regulatory compliance, would assume Ireson’s responsibilities immediately, according to the email. He was also named assistant executive director of the school. Randy Ireson, executive director of the Glen Mills Schools since 2013, is taking a leave of absence for health reasons. The board chose Spriggs “based on his education, his experience in the field, his commitment to the mission of Glen Mills and the welfare of its students,” said Tysarczyk. He has worked at Glen Mills since 1994, the same year he received a bachelor’s degree in political science from Delaware State University. Spriggs later earned a master’s degree in administration of justice and a doctorate in business administration, both from Wilmington University. As Glen Mills’ director of regulatory compliance, Spriggs has been responsible for ensuring the school complied with Pennsylvania’s licensing regulations, which span everything from shower partitions and trash can lids to child abuse and staff training. With Hand’s resignation, Carolyn Seagraves, vice president of the Glen Mills board, “assumed the duties of the president” Thursday. Hand had served on the board since 2002. The president of Joe Hand Boxing Gym and Joe Hand Promotions was elected to head the board in 2017, according to a Glen Mills news release. Seagraves is a social media coordinator at Neumann University, according to her LinkedIn page, and a former reporter for the Delaware County Daily Times. She graduated from Neumann in 1984 with a degree in communications.